Very functional microfiber full seat breech in white with a black synthetic suede full seat. 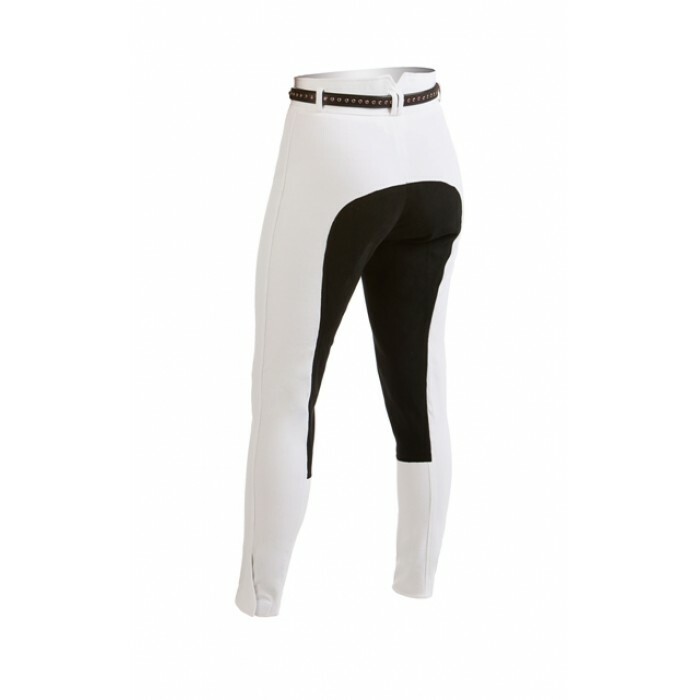 Hard to find black full seat with white breeches make these very functional, especially for schooling shows. No need to worry about your saddle staining your white breeches, or sitting down while you wait to ride. High waist, front zip, velco leg closure.